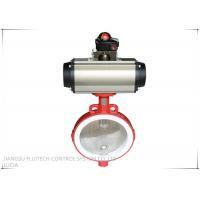 Limit Switch,Positioner,Solenoid valve,handwheel and etc. 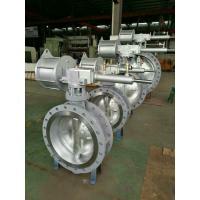 The high performance double-eccentric butterfly valve can be used in working conditions and media for which conventional valves are suitable, and adopts different structure materials and special treatment materials according to different media. It can also be used in special working conditions such as cryogenic condition, steam, chlorine, oxygen, high vacuum, anti-corrosive condition, etc. 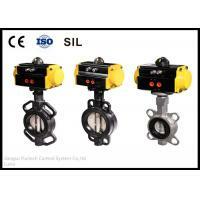 The series of high performance wafer type butterfly valves uses various structure materials, including those that meet NACE requirements and anticorrosive materials. Special valves that can be used in chlorine, oxygen, high vacuum, corrosive media and cryogenic condition are also available. The unique dynamic load seal PTFE seat design is adopted with good elasticity and high reliability. Sealing can be maintained without the need of adding O ring or metal part. The lip type sealing structure can compensate for the changes of temperature and pressure. Long service life and low maintenance. In seal test, there is no bubble and leakage at both directions. PTFE, R-PTFE, PEEK, Fireproof seat, etc. The anti-blow-out structure is provided at the top of the shaft to prevent the shaft from running out of the gland in case of accidental breaking of the shaft. The seat can be replaced just through removing the inserts without removing the inserts without the need of disassembling the butterfly valve and shaft. Tight sealing can be realized even when it is used for control. 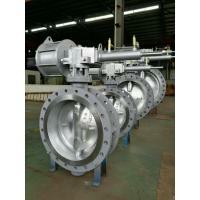 The traditional central line butterfly valve is lined with fluorin or rubber, but the S type elastic seal seat structure independently researched and developed by our company through introducing technology from Germany MAYER adopts the imported RPTFE material with good elasticity and long service life. It can automatically compensate for the changes of temperature and pressure and can realize compensation for the worn seal due to long-time opening, closing and use. 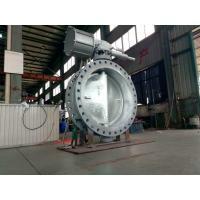 It can realize double-direction sealing without leakage. It adopts flexible insert structure, and the maintenance is fast and convenient without the need of removing the butterfly plate and stem. The seal seat can be replaced and the sealing face can be repaired just through taking off the inserts at one side. 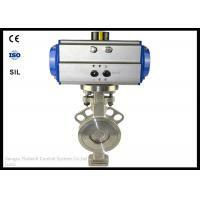 ►ANSIFCI 70-2 stipulated the control valve leakage level and test procedures. 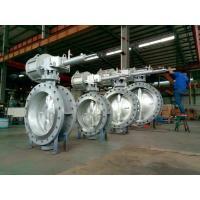 Among them VI level is the minimum leakage level. 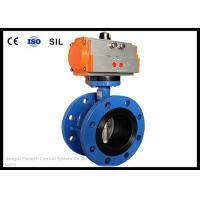 High performance wafer butterfly valve can achieve MSS-SP61 prescribed no bubble seal, higher than VI level. 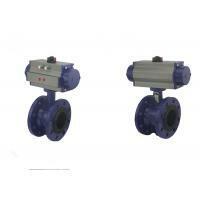 ►When the valve is closed, the butterfly plate makes the seat slightly deform. The deformation excites the seat. The excitation of the seat sealing face enables permanent sealing to be maintained between it and edges of the butterfly plate. ►When the inserts receive pressure, the pressure is exerted at the bottom of the lip edges, further enhancing the sealing force between the butterfly plate and seat. ►When the pressure is exerted at the non-insert side, the butterfly plate is pushed towards the seat. As the butterfly plate is of the ball shape, the further the butterfly plate is pushed towards the seat, the tighter the closing is. The lip edges contact the trough at the bottom of insert, limiting excessive movement of the seat. 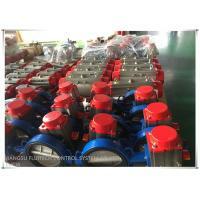 The wafer type butterfly valves, including valves of PTFE seat with lower rated values and valves Peek seat, are suitable for steam working condition. The rated values of valves used as switch in the steam working condition are shown in the following table. The rated values may be decreased according to different shaft materials selected. 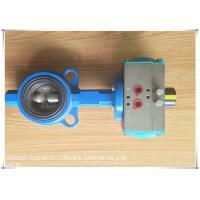 After special treatment, the valve can be used for shut-off and control in oxygen working condition. A series of strict procedures for spare parts preparation, assembly, teat and packing is followed to ensure cleanliness and avoid inherent danger caused due to reaction of oxygen with grease and other impurities. 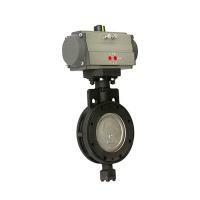 Standard wafer type butterfly valves are rated for tight shut-off of vacuum 2X10-2torr. 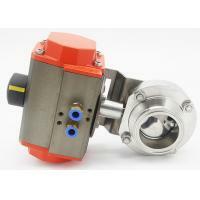 Special high vacuum wafer valves can also be provided for vacuum of 2X10-5 torr. In addition, high vacuum valves are confirmed to have a leakage rate of helium not exceeding 2X10-5 CC/sec at vacuum of 2X10-5 torr. The service life of valves assembly by spare parts such as reinforced PTFE shaft seal, PEEK-reinforced PTFE thrust bearing, etc. 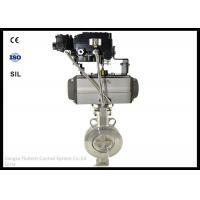 is much higher than that of ordinary valves. Certainly, the actual performances depend on the media, pressure and temperature and other conditions. 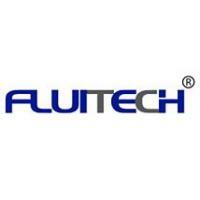 It is the most ideal situation that the combination of oxygen, nitrogen, hydrogen, water and clean media is used. Note: The working condition that contains acid, chlorine, bromine, sulfur dioxide, steam media with temperature exceeding 325°F(163℃) shall be avoided. The maximum working pressure of body and testing pressure of body of various materials are listed in the body pressure ratings table. The actual working pressure in the working conditions shall be decided according to the seat rated values.